For quality roofing supplies Stoke you can rely on the professional expertise of the leading roofing product specialists at Capital Roofing Centre Ltd. Providing first class roofing material in Stoke to the trade and domestic customers-that includes the leading brands in roofing tiles-they are well equipped to deal with your enquiry. Capital Roofing Centre Ltd operate throughout Staffordshire and Cheshire, providing a dedicated 6 days a week service that delivers to your destination swiftly and effectively. When you require the very best roofing supplies in Stoke, roofing material and the very best quality roofing tiles, call Capital Roofing Centre on 01782 287 515. Consider investing in quality fascias and soffits in Wilmslow if you are concerned about your home’s guttering system. The right roofing insulation in Ashbourne will modernise your building and save on energy bills. Capital Roofing offers the best felt roofing prices in Ashby de la Zouch for top quality. We supply all necessary flat roof products in Stoke for professional roofing companies or DIY enthusiasts. 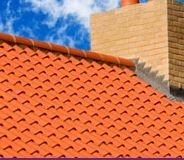 Use only the best quality roofing tiles in Wilmslow to increase your roof’s life expectancy. There are a wide number of uses for felt roofing in Ashby de la Zouch. We have the roofing insulation in Congleton that you need at Capital Roofing. If you need quality roofing supplies in Rugeley, you will find a wide range of roofing products at Capital Roofing Centre. Get top quality roof slates in Uttoxeter from the specialists.